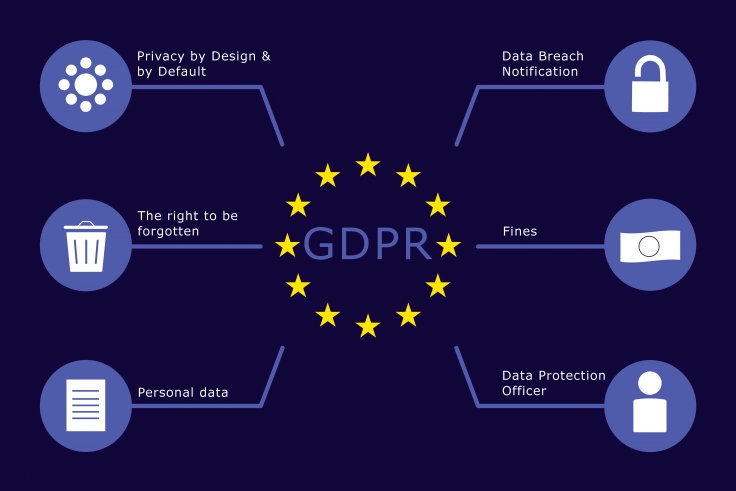 According to Kris Lahiri, Chief Security Office on Quora, GDPR standardizes data protection law across the EU and imposes a slurry of new rules on controlling and processing personally identifiable information (PII). In short, GDPR extends the protection of personal data and data protection rights by relinquishing control back to EU residents. These regulations went into effect May 25, 2018. GDPR replaces the 1995 EU Data Protection Directive and supersedes the 1998 UK Data Protection Act. As Lahiri reports, GDPR applies to any organization that uses personal data of an EU resident. Why are US-based companies like MailChimp and Evernote updating their privacy policies? The answer is simple: Globalization. Any organization that is headquartered in the US but provides goods and services abroad, especially the EU, is subject to GDPR compliance. Not complying could come down to huge fines: a 4 percent penalty of global turnover or 20 million euros ($24.4M), whichever is greater. This means bankruptcy for those businesses that fail to go back and review the fine print. And US companies like Facebook have certainly taken notice. Although Facebook is headquartered in California, a scandal like Cambridge Analytica in the EU could cost them billions, roughly $2.8B or a 7 percent revenue reduction according to recent reports from Goldman Sachs. Thus, although they are headquartered in the US, they must “play nice” for those users and advertisers in the EU. As a company that services users worldwide, Facebook has indicated their plan to make GDPR-style controls available to all users, and they’ve updated their privacy settings across the globe. MailChimp, another US-based company, has also taken strides to ensure users they have incorporated “GDPR-friendly” forms, making it easy to obtain and record consent required by GDPR. MailChimp errs on the side of caution not only by developing improved contact management functions but also by over-communicating with their audience on how to stay GDPR compliant by sending a multitude of emails, loaded with blogposts and how-to instructions for obtaining the appropriate permissions when dealing with user information of an email audience. GDPR does not apply only to large organizations like Facebook and MailChimp, but also to small business owners and freelancers. The rules governing personal data, safety, and privacy apply to everyone, no matter the size of the company accessing consumer data. GDPR grants consumers the right to request the data companies have on them. In turn, a new level of trust is born between businesses and consumers because of the need to abide by GDPR demands. Therefore, small businesses and freelancers can get ahead of the game by adjusting internal processes to align with GDPR regulations and enhancing transparency with their clientele. If you are a small business owner or freelancer, it is to your benefit to become familiar with GDPR, and also identify ways you can protect the interests, data, and personal information of your customers. Hubspot’s team put together a comprehensive playbook and blogpost that explains in greater depth how to ask the right questions and ensure you build your own GDPR-compliant processes. Understand the law: There are various categories and definitions for storing data. Become familiar with the legislative expectations and applications to your organization. Form a plan: Whether it’s hiring a Data Protection Officer or pulling in the stakeholders of your organization to manage various information systems within your operations, you need to put together a concerted effort to become compliant. Perform a risk assessment: Review existing data policies, procedures, and security measures and how those areas may need new layers of authentication or protection methods. Rinse and repeat: It’s best to go back every so often and review the three steps above to make sure nothing has changed and your organization is abreast of new changes, regulations, and is in a position to avoid a penalty or fine. Peering into the future, it’s hard to predict how GDPR will continue to impact organizations, especially in the US. But what can be anticipated is that computer information system departments and organizational management teams will have ongoing discussions on how to tighten their privacy policies to meet GPDR compliance. As globalization continues to fuel hyperconnectivity among countries and e-commerce, companies that are proactive and strategically plan for tighter regulation will be the ones that rise to the top as data management practices continue to become more mainstream.